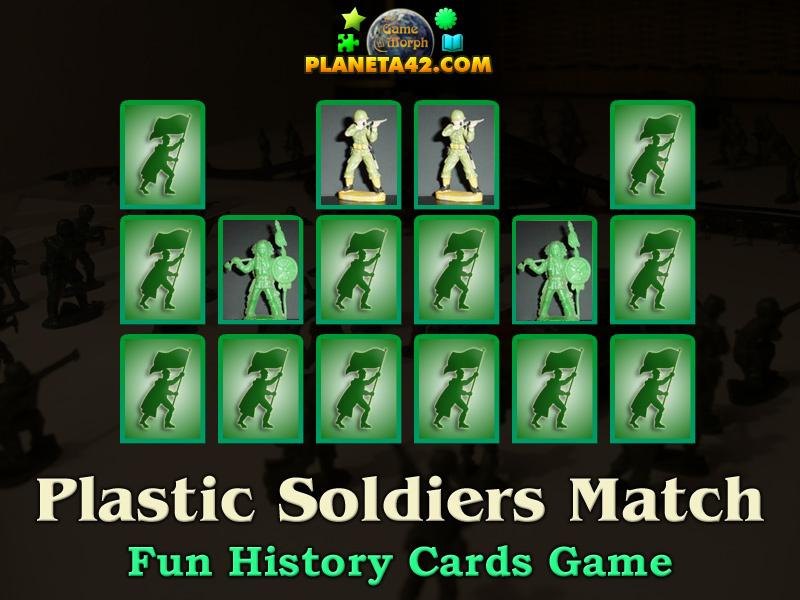 12 Plastic Soldiers in a fun online history card game. 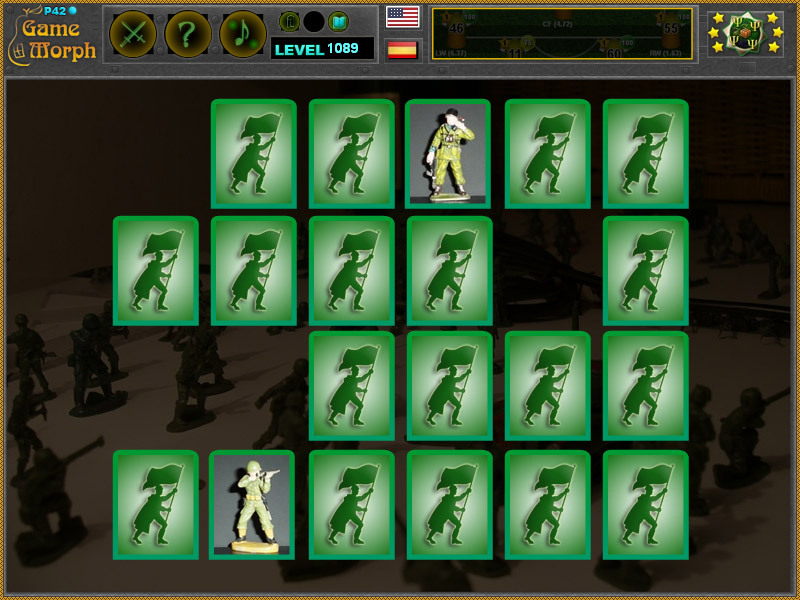 "Plastic Soldiers Cards" is a small knowledge level game, to match two same cards with Plastic Soldiers. Fun educational game about collectible items. Free online game for desktop computers, laptops and tablets, which may be played in the web browser. Minute to win it game. How to play Plastic Soldiers Cards. The game will generate 24 random cards with plastic soldiers, where every two cards are the same. Like all matching pairs games, you must open all two same cards one after another to win the game. If you open one plastic soldier card, try to open the same plastic soldier card as next card to clear the two cards from the table. Know at least 5 Plastic Soldiers and get +1 Knowledge Level. Army men, or plastic soldiers, are simple toy soldiers that are about 5 cm (2.0 in) tall and most commonly molded from green or other colored relatively unbreakable plastic. Unlike the more expensive toy soldiers available in hobby shops, army men are sold at low prices in discount stores, supermarkets, and dollar stores in bulk packaging. Also unlike many toy soldiers, army men are sold unpainted and almost always dressed in modern military uniforms and armed with 20th-century weapons. Labels: History Games , Learning Games , Card Games , Collectibles Games , Education Games , Free Online Games.